Professional and skilled with many years experience in garden design, planting plans, turfing and gravel driveways. 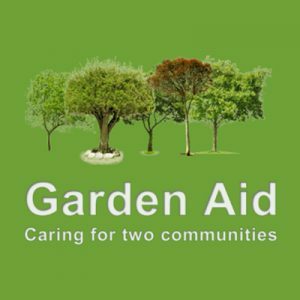 Garden Aid provides maintenance services including Lawn Mowing, Grass Cutting, Hedge Trimming, re-potting, tidying up, rubbish removal and even skip hire. Should your garden need a new fence, replacement panels or repairing we’re here to help. We’ll even source those gates you’ve always dreamed of. As part of your garden maintenance, we provide a service for all areas of tree & hedge care including pollarding, reducing, pruning and felling. Holding a City & Guilds NPTC Certification in Herbicides/Pesticides, GardenAid are fully equipped to help with weed control by using both physical and chemical methods to stop weeds from reaching a mature stage of growth when they could be harmful to domesticated plants and livestock. Do require another service that is not listed on our website? If so, we may be able to cater for you. Please don’t hesitate to contact us for any gardening requirements.